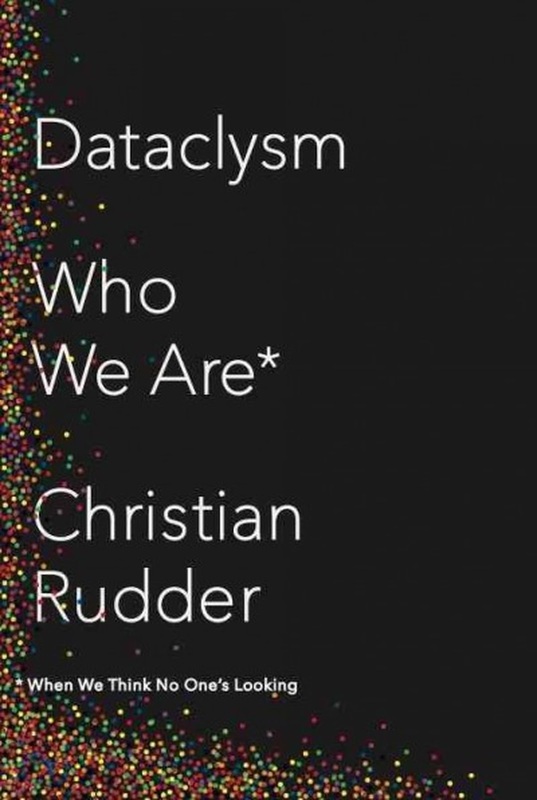 From the guy that gave the world OK Cupid and is acting as the online service's chief statistician comes Dataclysm, a book (or rather, in my case, an audiobook) that is all about number crunching. That is to say, the author analyses the big data available to him through OK Cupid and comes up with some interesting conclusions; he then looks further afield, towards compatriots such as Facebook, Twitter and Google; and from all of that he conjures tons of insight about this world we live in. Thus we get to look at racial relationships in the USA, and the numbers are rather scary. I will put it this way, I could have never imagines the situation in the Land of the Free to be as bad as it is, but - what can I do? - the numbers don't lie. Similarly, Dataclysm examines LGBT related affairs, along the way concluding rather conclusively that 5% of the population is gay and then looks at how certain parts keep it a secret while others are open - what does this say about our society? The theme goes on. Men vs. women, urban vs. rural: whatever the case at hand happens to be, the lines on our made-up map disappear and instead the "real" maps come up. National borders don't mean a thing in big data number crunching. Dataclysm is thus a good read, an eye opener that calls a spade a spade for better and worse. As an audiobook, it suffers more than a bit given the large number of graphs that have to be read aloud to the reader, but it is always manageable. At the end of it all, Rudder does complain - in an exercise of self irony - about us progressing towards a society where people and entire populations are reduced to single numbers. In doing so, he also sounds the alarm on privacy, noting he himself stays away from social media: perhaps, Rudder asks, by the time we realise what is happening to our privacy in this world of Googles and Facebooks, big data will crunch it all and there won't be any possibility for privacy left (because machines would have already analysed all that is there to analyse about us). Quite up to date in a field where every week brings us fresher grounds, Dataclysm is well worth reading. I will emphasise the word "reading", because I believe such a book of numbers would be better served in book form than audiobook. Still, I will reduce the audiobook to a single figure of 3.5 out of 5 crabs. If you seek a counter view, try David Brin's The Transparent Society; as you can tell, I had found it to be out of date and grossly naive with its core view that surveillance is fine because we could surveil the surveillers. For what I consider a much more realistic view of the world we live in, I would point you at this article entitle You Are the Product. I would also point you at my own post, here.